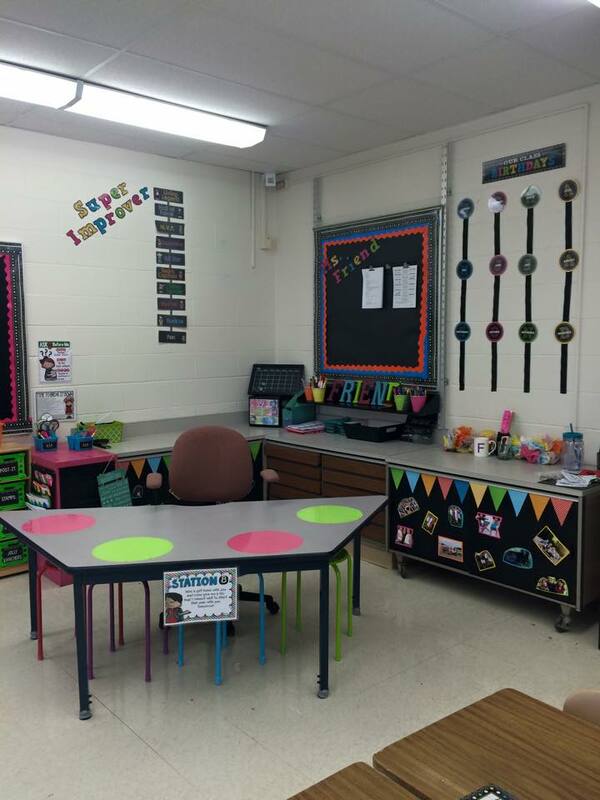 I am so excited on how my classroom turned out this year! It is a bright and fun, yet I believe my boys will like it as well 🙂 Looking around blogs, teacher stores (the place that owns my wallet), and Pinterest I knew I had to go with chalkboard and bright theme. I mean have you seen the cute stuff they are selling?!?!? 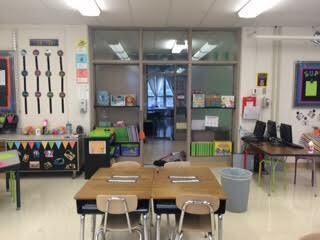 This is the view when you walk into the room! 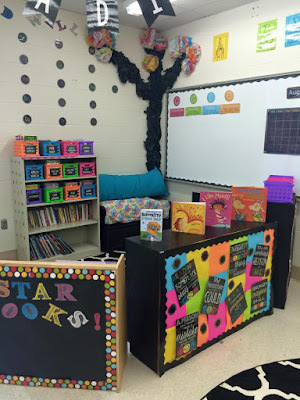 I LOVE the reading area being the center focus! 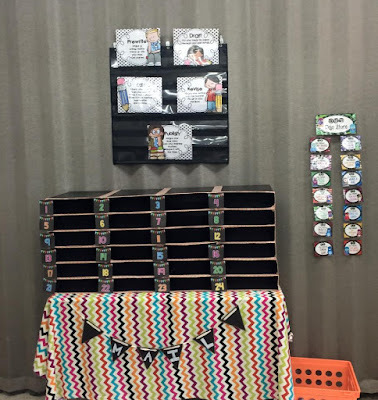 Third graders have to read or I will lose my job 😉 I plan on using the back of the bookshelves as an area that students can put book recommendations for other students! 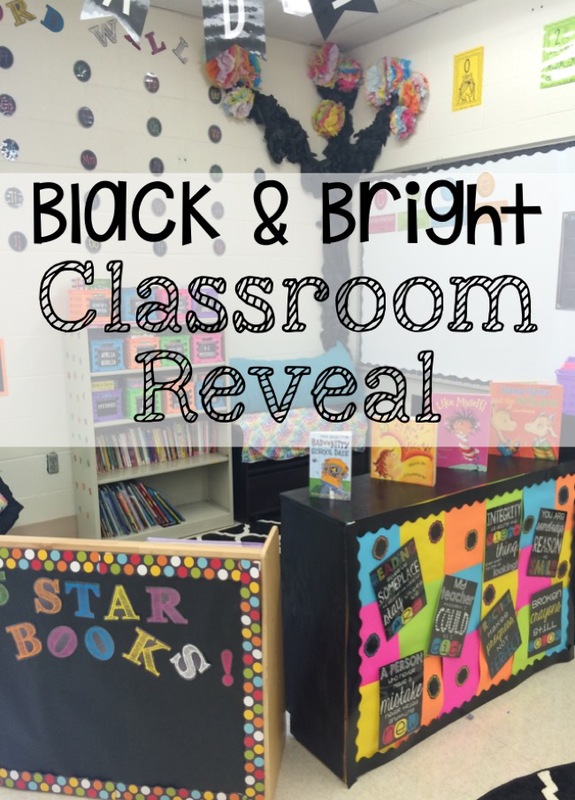 The cute quotes on the other bookshelves come from the AMAZING Bubbly Blonde Teacher! Here’s a peek at the inside of my reading area! And yes that is a BOOK DOWN! Ahhhhh! 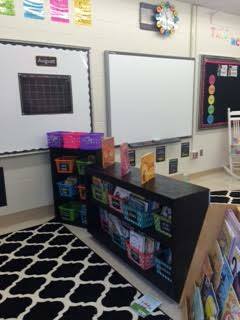 Then, next to the reading area is my math corner! I like to keep them in corners so my kiddos know where all the information they need for one subject will be! 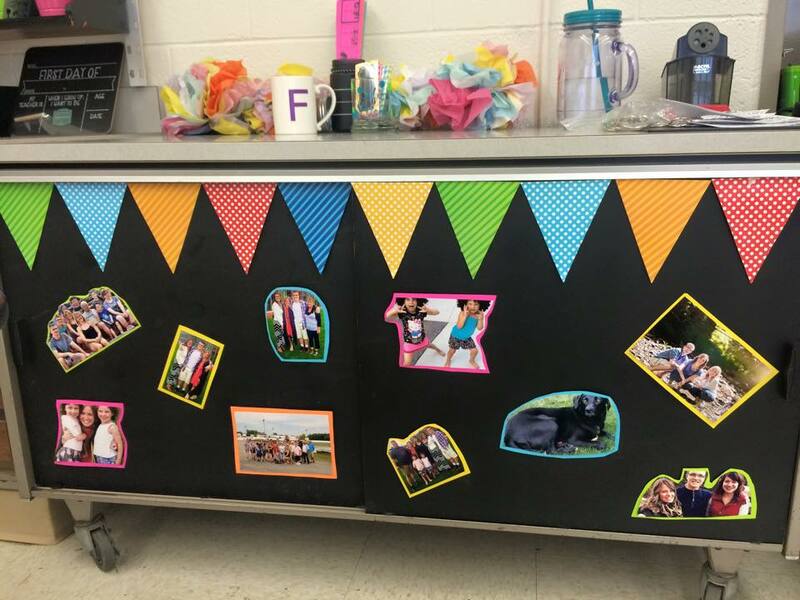 On the bright bulletin board I plan on displaying my beloved anchor charts for each unit! The numbers come from the lovely The Bubbly Blonde Teacher! A little zoomed view! The book bins come from big lots and are THE BEST EVER! Go buy them! They ROCK! Above the book bins is where I keep my early finisher work! 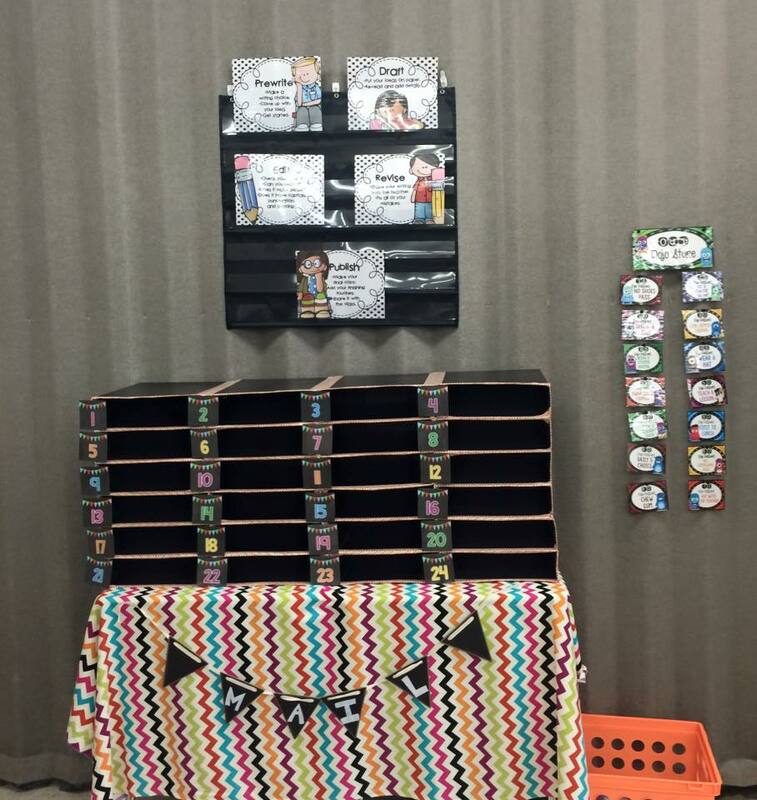 Under my board stores all my math manipulatives, so when the kiddos need them they can grab them at any time! Then, to my writing corner! This is my favorite area! It’s fun and cheery! 🙂 On the board I plan to display awesome writing pieces throughout the year! On the desk I have writing prompt cards and cubes, all writing supplies, and writing process bookmarks! 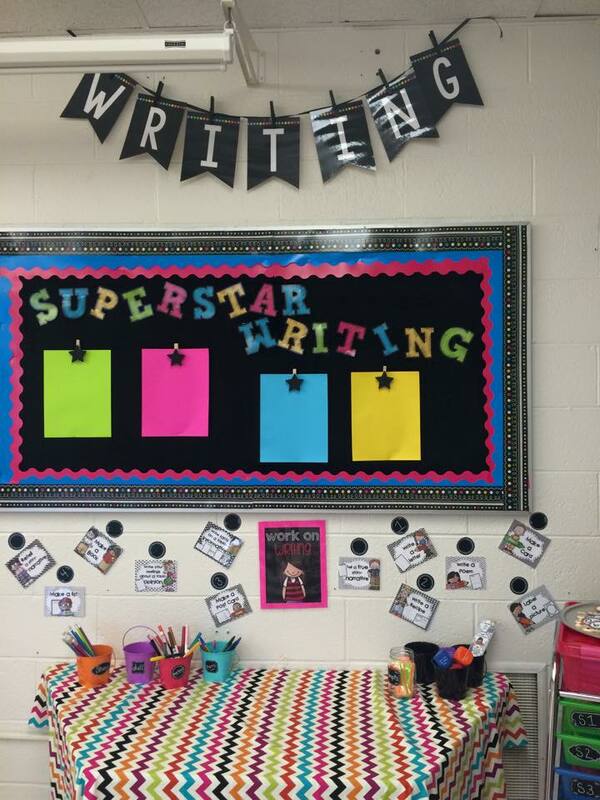 Next to the desk I house all my word work stations and all my writing stations!
! 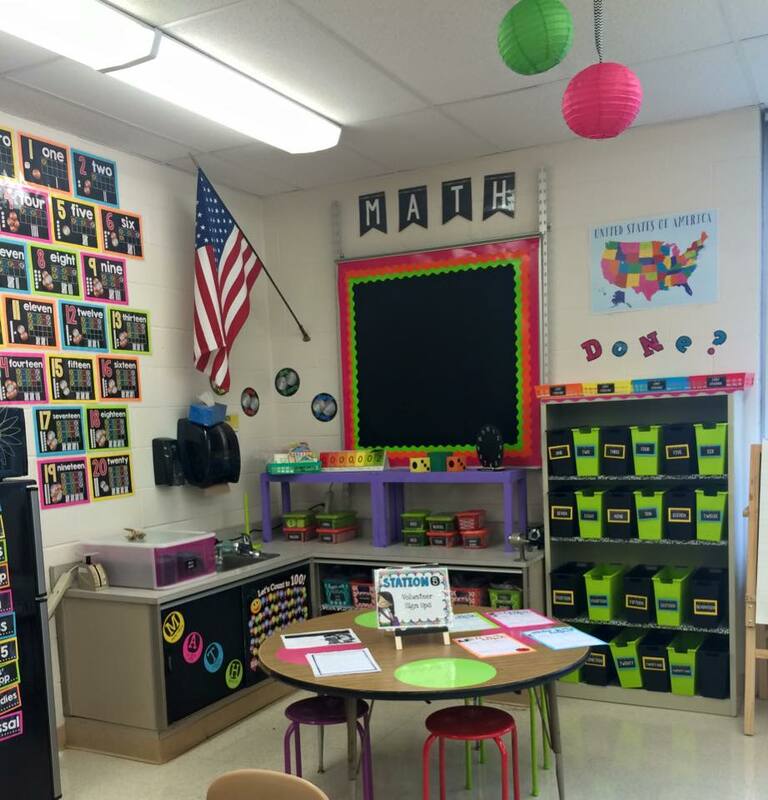 (excuse the bad photo taking, the lighting in classrooms is NO fun). I made these mail boxes out of boxes from the post offices! I painted them all black (now that was a task), then hot glued them together, after that I used duck tape to make them look cuter! The front of my room! This is where I store my “I Can” statements for every subject! My district is HUGE on that! I also do the essential question! This set comes from Amy, her stuff is to die for! 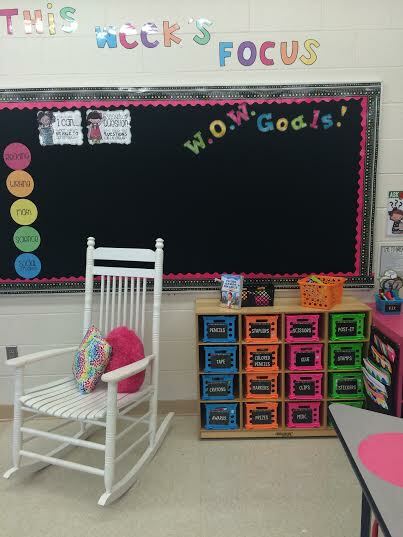 Every week the students will write a within one week goal on a post it and put it on the board to refer back to! 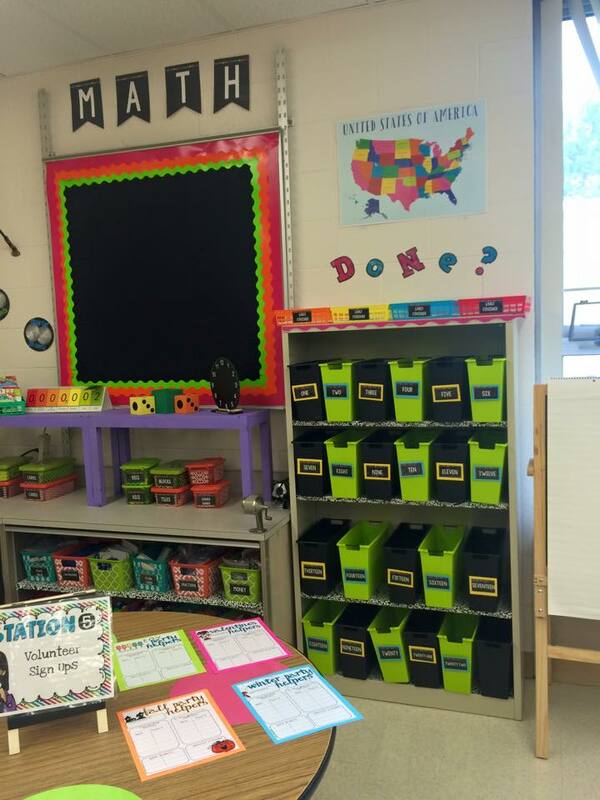 Below the board is where I house all extra supplies! Aren’t those dollar bins from Walmart the cutest???? Here is the view of my area! I house the super improver wall and our birthdays back here! I love this area! I added some wall pops to my desk to make it more exciting! Those ADORABLE stools come from family dollar! This is the area that makes me feel at home! So many pics of my family, friends, and dog to keep me happy on those hard days!